She portrayed my favorite Doctor Who companion when I was a kid — yes, I know, I’m dating myself — and she returned to reprise her role in the new series of “Doctor Who,” as well as having her own spin-off, “The Sarah Jane Adventures,” aimed at kids but still a good show in its own right — as all good children’s programming should be. 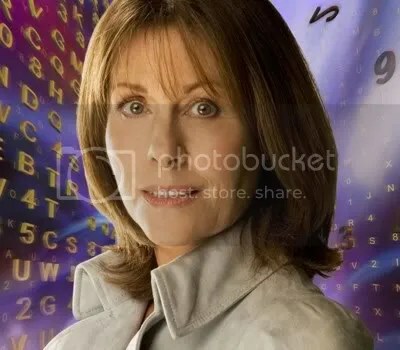 And now Elisabeth Sladen is dead at the age of 63. I appreciated the Sarah Jane character when I was a kid — she was more than just plucky, and she had a more “modern” spirit and feel than some of the other female companions of the time. I was very sorry to hear of her death. Rest in peace, Lis Sladen, and R.I.P., Sarah Jane. Elisabeth Sladen on the Doctor Who Wiki. Elisabeth Sladen news on the Guardian site. This entry was posted in Doctor Who and tagged blather, Elisabeth Sladen, News, Sarah Jane Smith. Bookmark the permalink.